The Coal Mines Regulation Act of 1872 had a provision which required the mine to be under the control and daily supervision of a Manager who was registered as a holder of a certificate under the Act and granted by a District Board. However these Boards led to a vast variation in standards and freedom. See 1887. A new colliery at Newstead being sunk jointly by the Staveley Coal and Iron Co., and the Sheepbridge Coal and Iron Co., 5000 acres of Top Hard coal at 5 feet thick for a term of 80 years was leased from Colonel Webb. The capital expenditure for the joint venture was £120,000. The Act also required owners of mines to deposit accurate plans of abandoned mines with the Secretary of State, but of course prior to this date many thousands of mines and seams had been abandoned and the knowledge of same was probably lost forever. It was only in later times where mine workings encroached upon old workings that the knowledge of previous working came to light. Particularly North Derbyshire there are many unknown shallow workings or shafts and in later years would only be found when sinking new shafts or when opencasting was done, or when slumping of the surface occurred. The first repository for plans of abandoned mines was at the Mines Department in London, quite some distance away from our locality, probably leading to the fact that many plans were still retained by the mine owner or agent. The Coal Mines Regulation Act 1872 required plans of abandoned mines showing the boundaries of workings at the time of their abandonment must be deposited with the Secretary of State within 3 months of cessation of coal production. After this date the Inspector visited the closed mine to examine the abandonment plan, no doubt at the time discussing the relevant merits of the plan. There are numerous examples in the repository where the Inspector has added remarks to the plan, such as the name of the mine, its location, the seam worked, and all plans or tracings were signed and dated by the Inspector using a pen and ink. Many of the plans were very basic, just showing the outline of the workings, generally with the direction and rate of dip of the seam, invariably showing sketchy outlines of previous old workings met, sometimes showing the line and date of the Magnetic meridian, sometimes remarks were made as to the depth of the shafts, remarks to old shafts if any, remarks regarding why the seam or mine was abandoned, such due to water, or uneconomic etc. TL Dickinson was appointed as an Assistant Inspector of Mines to Thomas Evans. Pay was £400 per year and was to be raised to £600 per year in the near future. By comparison a Manager was on about £200 to £300 per year, whilst a successful Head Viewer could be on as much as £1,000 per year. The rate for a collier was between £50 and £100 per year! An Inspector would make about 200 colliery visits in a year, mainly in respect of accidents, bad ones at that which would have been discussed by himself and the Manager or Owner or Agent for the mine. Obviously he would have had little time to make underground visits to view any working practices or to remark on safety. His other main reason to visit the collieries was to examine and collect the abandonment plans of seams or the mine for depositing at the Records office. Unless the colliery to be visited was nearby the Inspector would have had to travel mainly by train to the nearest station to the various collieries and then most likely would have been transported from there to the colliery by pony and trap. In May 1872 George Smith Agent for Kilburn Colliery died aged 52 after being involved in a shooting accident. Principal Secretary of State Henry Austin Bruce MP 1867-1872. A Waddle fan was installed at Pinxton Sleights No2 (Derbyshire) to replace the existing furnace. 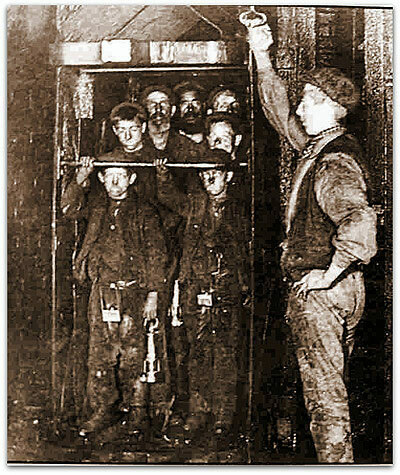 At the old South Normanton pit (Joseph Swann) there was a strike in 1872 over increased tonnage rates, shorter hours and the right to employ a checkweighman. Similar strikes were held at nearby Hill Top, Carnfield and Pinxton and Langton pits. In 1872, Chas Seely and Co purchased Thomas North’s pits (Nottinghamshire) from John William Wright and Co who had held them since North’s death. The pits were Cinderhill, Babbington, Newcastle, Broxtowe, Kimberley and Bulwell. At Babbington, Cinderhill and Bulwell, Tibshelf and New Birchwood, the company provided cottages for the miners, with gardens, pigsty, gas, water and free coal. Califat (Leicestershire) was closed shortly after the death of William Worswick. At New Birchwood (Derbyshire) Matthew Hayes was appointed as Underviewer. He was born in 1824 and had started work as a door trapper at Elemore colliery Durham. 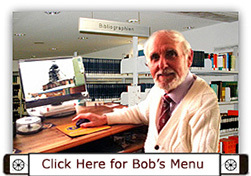 (He would retire there as Undermanager when aged 63). Tibshelf Old and Tibshelf New collieries (Derbyshire) were transferred from Edward Chambers to Edmund Chambers. John Dodsley, Lord of the Manor, began sinking 2 small 9 feet (2.74m) diameter shafts at Stanton Hill (Nottinghamshire) to replace his Skegby colliery that was closed in 1873. The new sinking was called the New Skegby colliery (Skegby Coal and Lime Co). Kimberley pit (Nottinghamshire) was also referred to as Strelley colliery, as had been Turkey Field (John W Wright) in 1859-1860 (as shown on John Thomas Boot’s plan). Fatal accidents 1872: included John Draper who was killed at Kimberley in 1872 when coal fell on him at the face. I was told by Anthony Kirby a local collector of mining memorabilia in the 1990s and early 2000s that John was his Great Great Grandfather. At Bretby Middle Place (Countess of Chesterfield) (South Derbyshire), the Stockings seam was worked. The winding engines at Moor Green (Nottinghamshire) (Barber Walker Co) were completed in 1872 and the pit was ready to turn coal. Beggar Lee Eastwood (Barber Walker), (sunk in 1838) closed and abandoned after 34 years. The old colliery Beggarlee was sunk in 1765 and was closed after 108 years. Fatal accidents at Eastwood – Thomas Gilford (30) 10 Nov 1863, note: brothers of this man were killed in similar roof fall accidents! West Hill Heanor (J Argyle) Comb seam abandoned 14th February 1872, started 1868, working left off because of old hollows, a waggon way was shown, John Thomas Boot Surveyor, of the ‘Orchards’, Hucknall (under Huthwaite) Alfreton, stated that the copy was not an exact one of the surface boundaries! Woodhouse (John G Barker Esq) Estate of Executors of late, Blackshale, 20th Aug 1872, Surveyor Richard G Coke. From 1871 – Oct 1872, 2 roods 14 poles were worked and from Oct – 2nd Nov 1873, 1 acre 1 rood 30 poles worked, but 21 roods was trespass, section - hard coal 3’ 3” (1.0m), dirt 1’ 8” (0.51m), soft coal 1’ 10” (0.56m). Also not leaving sufficient support or pillar for buildings, - regarding injuring anyone, but not injured anyone yet – statement by James Bennett for W Booker and Co, met old works and faults, Surveyor Thos Henry May, Sheffield and Dronfield. West Hallam No2 pit was drowned out. No3 pit working the bottom Hard coal was situated close to the Nutbrook Canal as was No6. Water also drowned out Colonel Newdigate’s Soft coal 26th February 1872. ‘Safety bars’ began to be used extensively on cages to stop the unfortunate miner falling to his death whilst riding the shaft. However these were generally situated at a height whereby small boys could still slip below them! I remember this type of simple safety bar would still be used into the late 1950s when I rode up Teversal No1 coaling shaft on a special run a time or two! It saved the Onsetter putting the gates on as they took them off whilst winding coal. Staveley Co’s workmen were granted a 9 hour day and wages were to be paid weekly instead of fortnightly. Similar concessions were granted by James Oakes and Co at Cowper and Riddings, and at other Co pits at Sheepbridge and Renishaw. Some pits went on strike where the men argued for the same rights. A group of miners tried to form a trade union at Clay Cross, but were told by Charles Binns the General Manager, that all assistance the Co had given to schools, chapel, social institutions etc would be withdrawn. Blackmail ! Miners’ wages were generally high in the years 1871-1873, all three years being good years for coal throughout the country. Woodside, Ephraim Sisson (? ), 11 Apr 1872. There was a firedamp explosion on Monday morning 1 Mar 1872 at Newbold (Derbyshire), a pit owned by CH Plevins. 4 men were burnt, one burnt internally. Outcome of the incident is not known. Again this was a Monday morning explosion. It is almost certain that methane gas had built up over the weekend after the last coal working on the Saturday morning. 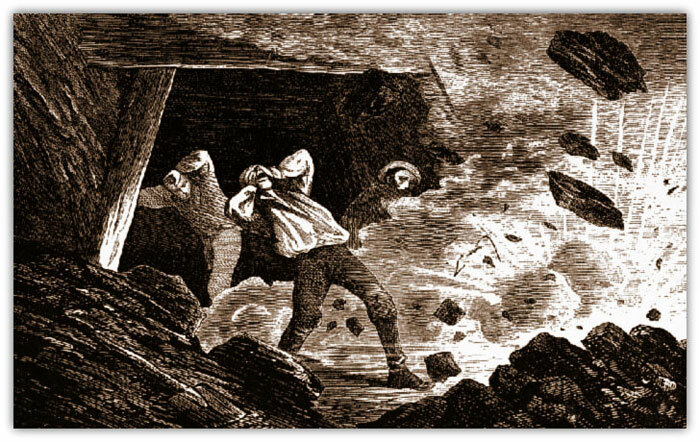 The combined output for 1872 from 129 Derbyshire pits and 28 Nottinghamshire pits was above 10 million tons. By comparison the huge Yorkshire Coalfield produced 14,576,000 tons from 431 pits. The 36 pits around Sheffield in South Yorkshire the area abutting North Derbyshire and Nottinghamshire produced 1,338,791 tons. There were still 10 pits in Leicestershire Field but Coleorton (Walker and Worswick) had closed and Coton Park and Lenton (Coton Park Co), West Moira (Checkland and Co) had opened. Oakthorpe had changed hands to Abney Hastings and Whitwick from J Whetstone to W Whetstone.